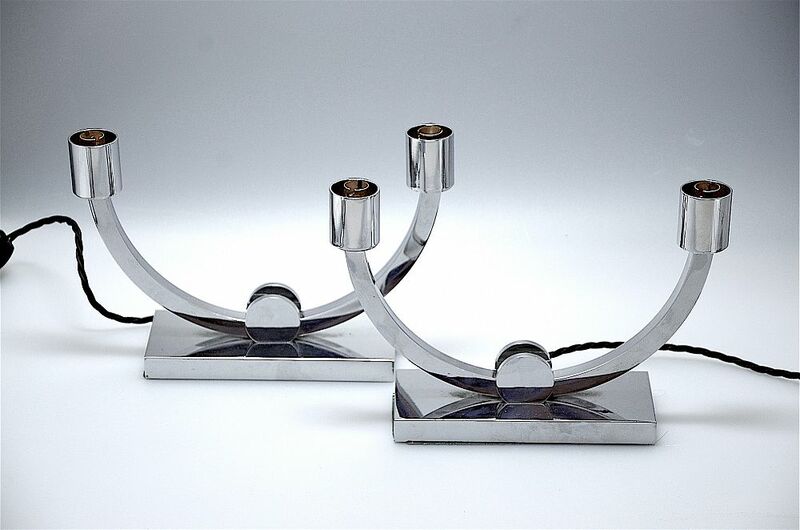 This pair of table lamps is from the Art Deco period. Each lamp has a rectangular chrome base with two upright chrome discs between a wide U shaped square chrome branch arm supporting a chrome tube that contains the bulb holder. A very elegant addition to any room. Please note that these lights have 3 square pin plugs and are wired for the UK system. Please check whether this is compatible with your system before purchasing as returns will not be accepted and refunds will not be given if there is an electrical incompatibility problem.